The attack on activist Kateryna Gandzyuk in the southern city of Kherson has become the last straw for Ukrainian civil society. On 31 July, an unidentified man doused Gandzyuk, who works for the executive committee of Kherson city council, with sulphur dioxide near the entrance to her apartment building. She was taken to hospital with burns on 30% of her body. “I am almost sure that the person who ordered the attack has a uniform with epaulettes hanging in his wardrobe, and possibly more than one”, Gandzyuk told Ukrainskaya Pravda. Kateryna is well known for her civic activism, campaigning against police corruption and pro-Russian elements in the Kherson region. Indeed, she and her colleagues believe that this work was the reason for the attack. Not trusting the police, who could have their own reasons for attacking Gandzyuk, activists demanded that the case be handed over to Ukraine’s Security Service. A month earlier, Kherson journalist Serhiy Nikitenko, another activist who like Gandzyuk had exposed the actions of pro-Russian forces in the area, was beaten up. In this sense, Kateryna says that the attack against her was not unexpected. “After crimes (against activists) went unsolved in Odesa, and the Kherson police took 32 days to establish the fact that Nikitenko was a journalist, I felt it would be me next,” Kateryna Gandzyuk told friends and colleagues who visited her in hospital the day after the incident. “I’m not scared – it’s all part of my work,” she added. The local police initially classified the attack on Gandzyuk as hooliganism, but after the mayor of Kherson added his voice to those calling for a more serious qualification, they changed the charge to grievous bodily harm with the object of intimidation, and then changed it yet again – to attempted murder. On the fourth day after the attack, a suspect appeared: the police arrested Kherson resident Nikolay Novikov. The investigation later turned up a second potential attacker; the police posted his photo and asked the public to help identify him. They also established where the acid had been bought. However, activists and journalists who are carrying out a parallel investigation believe that the police are looking in the wrong direction and that Novikov was not responsible for the assault. Several witnesses who spoke to journalists during their investigations have said that on the day of the assault he was with them at the seaside. On 7 August, Prosecutor General Yuri Lutsenko announced that the case had been passed to the State Security Services (SBU). According to his statement, the attempted murder with extreme brutality was carried out on the orders of law enforcement and state organs, with the aim of destabilising the socio-political situation in southern Ukraine. The number of attacks on civil society activists in Ukraine has risen steeply over the last few years, and the form these attacks take is shocking. On the same day as the assault on Gandzyuk, an activist was killed in Berdyansk, in the southern Zaporizhya region. Vitaly Oleshko, a veteran of Kyiv’s anti-terrorist operation who took part in the battle for the city of Ilovaisk, continued to fight after returning to civilian life – against businessman and former parliamentary deputy for the Party of Regions Aleksandr Ponomarev, who more or less runs the city. Oleshko was shot in the back with a rifle in his own yard, with his wife and daughter standing nearby. A little more than a month earlier, in June, a tragedy took place in Eskhar, in the Kharkiv region. Mykola Bychko, 23, was found hanged in a forest, and his fellow activists immediately said that they didn’t believe it was suicide. They believe his death was connected with his activism: he had recently been investigating the pollution of village reservoirs and corrupt practices associated with sewage treatment plants in Eskhar. The list of uninvestigated cases that the activists have brought to police attention begins with the killing of journalist Pavlo Sheremet in June 2016. The investigation has still not found any suspects. The people taking part in the “Evil must be Punished” protest in Kyiv demanded not only the effective investigation of attacks on activists and the dismissal of the top brass of the Kherson regional Ministry of the Interior, but also the resignation of Ministry of the Interior head Arsen Avakov. They also demanded that Prosecutor General Yuri Lutsenko and SBU head Vasily Gritsak accept personal responsibility for the attacks. 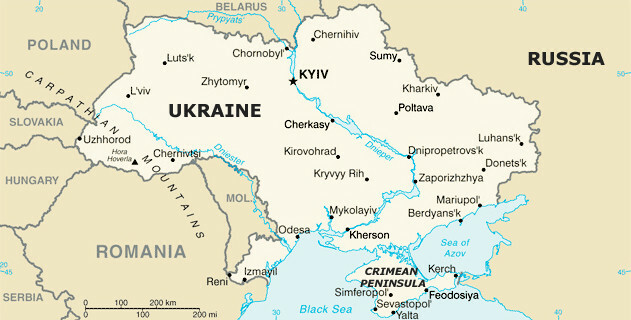 The attack on Gandzyuk was condemned by both the UN delegation to Ukraine and the American Embassy. Transparency International Ukraine called on the police “to finally show society that attacks on civil activists are crimes for which their perpetrators must definitely answer”. “The most obvious reason is the absence of any reform in the system,” says Tetiana Pechonchyk, head of Kyiv’s Human Rights Information Centre, when asked why attacks are on the increase. Police reform, announced in 2015 has only affected beat officers. Their supposed reassessment was also a failure – only 7% were dismissed, and some of those were reinstated through the courts. The reform didn’t apply to investigative departments. “Reforms have taken place, and they are continuing,” Avakov told Liga earlier this year, as he recalls the work accomplished during Ukraine’s most difficult time: the creation of the National Guard, the formation of volunteer battalions within the Interior Ministry, the settlement of the situation in Kharkiv in April 2014. And also the phasing out of the State Traffic and Road Safety Inspectorates and transport and veterinary police and their replacement by “up-to-date government service structures”. He also lists the successes of the Cyber Police, the National Interpol Bureau and the Migration and Border Services and the renewal of the State Emergency Service. Nevertheless, the polls carried out by the Democratic Initiatives Foundation and the Razumkov Centre Sociological Service show that public trust in the law enforcement agencies is in decline. Experts polled by the sociologists believe that the police, the Prosecutor General’s office and the courts are holding up reform. Police corruption is yet another reason, says Pechonchyk, for cases such as attacks on civil activists not being investigated. “The law enforcement bodies often merge and form ‘conglomerates’ with the authorities, dishonest business owners and local bullies and criminal elements,” she says. The Human Rights Information Centre, which Pechonchyk directs, has been documenting attacks since 2014 and has noticed several trends. Several groups of activists tend to be targeted. The first is the anti-corruption activists fighting for transparency in government finance and against corrupt practices. In July, for example, Vitaly Shabunin, the head of the Anti-Corruption Centre, was splashed with brilliant green paint during a protest outside the Specialised Anti-Corruption Procurator’s office and received chemical burns to his eyes. The police arrested two attackers, filed a charge sheet and let them go. The attack was classified as hooliganism. In Kharkiv in August 2017, Dmytro Bulakh, the head of the city’s Anti-Corruption Centre and member of the Regional Council, suffered a beating. He believes that the attack was linked to the activities of the centre, which investigates financial machinations in the city and regional institutional bodies, among them a cooperative operation in which Kharkiv’s mayor Gennady Kernes is involved. Another attack took place just a few weeks later – the victim this time was Yevhen Lisichkin, an expert with the Anti-Corruption Centre. The second group of activists are the environmentalists, who oppose tree-felling and dodgy construction companies. One known incident here involved the beating up of four activists in the Kyiv region – Aleksandr Kulibabchuk, Vadim Mashtabey, Yevhen Melnichuk and Viktor Barkholenko. They fight against tree-felling and illegal housing development on behalf of the local authorities in the towns of Buche and Irpen. “The dividing line between anti-corruption activists and environmentalists can also be pretty vague,” Tetiana Pechonchyk tells me. “Activists fighting for a clean environment and land rights can sometimes uncover instances of corruption as they go along. They are de facto also anti-corruption activists. “In small towns you very often find a coalition consisting of of the local authority, local criminal elements, construction firms and service sector businesses. When people start objecting, they find themselves under pressure from all sides,” Pechonchyk explains.The result is that these attacks are only followed through by the police in individual cases. The final group that is particularly subject to violence is LGBT activists: Amnesty International registered 30 attacks on them by far right groups in Ukraine in the last year alone. And in only one case were the villains brought to justice. Another trend is repeat attacks on activists who continue their activities after they are initially attacked: that’s what happened to Mykhailo Berchuk, an environmental activist from the Kirovograd region. He was beaten up in the autumn of 2016, when he became interested in waste dumping from a local factory producing meat, ketchup and mayonnaise. The second time he was attacked was in the spring of 2017 – this time they fractured his skull and he ended up in intensive care. A year and a half later, the police have been unable to identify his attackers, despite the fact that the attack happened one morning in a busy area, the car’s number plate was noted down and there were witnesses. Sometimes the attacks aren’t physical: they can be smear campaigns against activists and well-known anti-corruption organisations. Trumped-up charges are an example of this kind of persecution. In 2017, a case was initiated against the Ukrainian Patients organisation and the Living with HIV Network – they were accused of stealing grant money, as well as cooperating with the Russian security service and separatist groups in the occupied “LNR” and “DNR”. The organisations’ office was subjected to a search, but the case was closed in February 2018 for want of evidence. The members of the patient organisations believe that it was revenge for their anti-corruption activity. “On the one hand, the law enforcement system can’t effectively investigate real attacks on activists, while on the other, it is busy fabricating evidence and concocting non-existent cases out of non-existent crimes,” concludes Tetiana. In its recent report, “Nations in Transit: Confronting Illiberalism”, Freedom House notes the decrease in indicators of democratic processes in Ukraine – a situation that the report’s authors haven’t seen since the Revolution of Dignity in 2014. The reasons listed by Freedom House researchers include growing activity on the part of radical groups, assaults, physical violence and attempts to restrict the work of NGOs. This last issue is to some extent connected with recent legislative changes. In March 2017, President Poroshenko supported changes to the law “On Opposing Corruption” passed by Ukraine’s parliament, which requires members of anti-corruption organisations to file tax declarations online. Despite protests and strong criticism by EU, US and Canadian representatives, the law is still in force. A month ago, a group of 65 MPs appealed to the Constitutional Court to have this measure repealed. In June 2018, a new draft law appeared on the statute books, its aim to counteract “foreign influence”. It requires charities and NGOs who receive funding from outside Ukraine to declare their sources of income. “Having accused NGOs and journalists of anti-nationalism, politicians are now trying to exclude legitimate voices from public debate just because they criticise the government,” says Nate Shenkan, the director of Freedom House’s Nations in Transit Project, about the worsening situation with civil rights. In April 2018, activists and organisations responded to this situation by setting up a Coalition for the Protection of Civil Society in Ukraine. A joint memorandum was signed by nearly 30 organisations, including the Ukrainian Helsinki Human Rights Union, Freedom House’s Ukrainian delegation, the Human Rights Information Centre, the Civil Initiative East-SOS and many other civil and human rights initiatives. Freedom House’s Matthew Schaaf has announced that the coalition will soon have a website with a map showing all the cases of clampdowns on civil society, which will help to provide an accurate measure of the issue over the whole of Ukraine, including all its regions. Today, Kateryna Gandzyuk is in Kyiv’s burns centre, where she was flown from Kherson. She has had several operations in recent weeks and will need several more. Her condition is still serious. Meanwhile, the Prosecutor’s Office has now closed the case against initial suspect Nikolay Novikov due to lack of evidence. Five further suspects have been detained.